Do you have a birthday party or barbecue coming up? Forget bringing the usual potato salad and try one of these healthy recipes instead. They're easy to make, look amazing, and taste even better! Summertime is all about getting together with your friends, soaking up some sun, and devouring delicious food. However, barbecues, parties, and picnics don't always have a healthy spread for those of us keeping an eye on our macros. Don't get me wrong: I have a serious weakness for steak and potato salad, but sometimes it's nice to add a little healthy variation to traditional summer snacks. 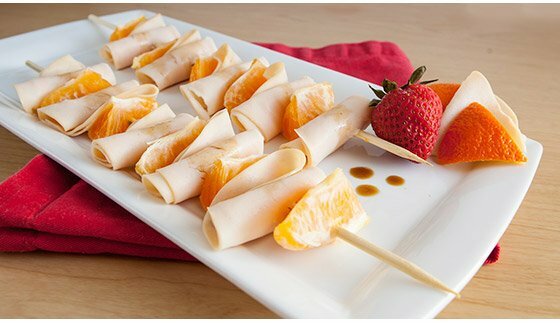 My favorite way is to pair fresh fruits and vegetables with protein ... and add a skewer! These five recipes are quick and easy because my adventures and social life are a high priority. That's what summer is all about, after all. Most of them only have about four ingredients and take about five minutes to prepare. But trust me, they look and taste like restaurant-quality appetizers! 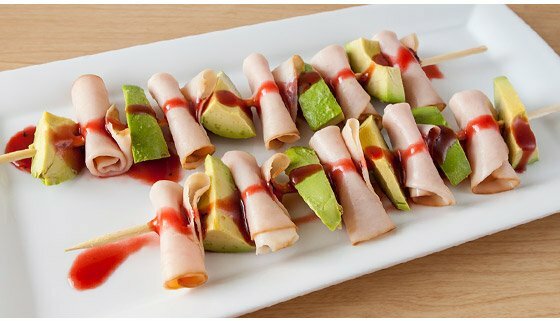 So the next time you're headed to a party, bring some of these simple, fresh skewers and snacks to share. Better yet, feel free to be selfish and hide them all in your fridge! This Italian specialty is probably one of the most delicious combinations of flavors ever created. 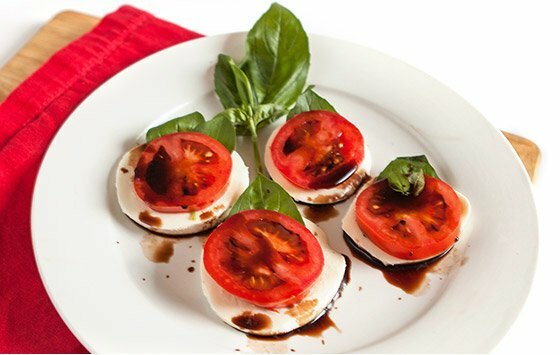 Layer fresh tomato, mozzarella, and basil, and you have a beautiful dish that is impossible not to like! 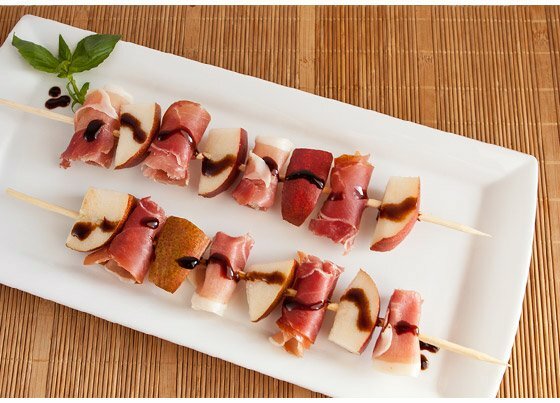 Putting together sweet pears with salty prosciutto is a seriously tasty treat. The combination of textures just makes it even better. Bring this dish to a get-together and I bet you won't even get to eat one. If you're watching your carb intake, these skewers are a great choice. The healthy fats from the avocado and the lean protein from the turkey are a perfect way to meet your nutritional goals without any extra or empty calories. The tuna and crackers snack is good, sure, but sometimes you need to add a little "fancy" to your nutrition. 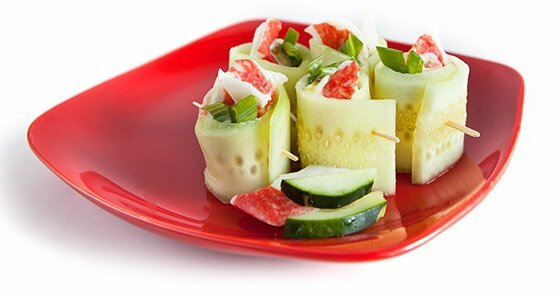 Instead of crackers, use fresh cucumber, and eat crab instead of tuna. It's a wonderfully refreshing low-cal play on an old favorite. These excellent skewers are made with an Asian twist. The tangelos and teriyaki go perfectly with protein-packed chicken. It's a yummy, healthy, fun dish that's secretly easy but looks gourmet.